Street Sweeping: What is the Purpose? Street sweeping is a vital operation that most take for granted or do not understand the importance of. I would like to expand on an article written by Curious City and first explain how a street sweeper works, and lastly, its purpose. Street Sweeping: How Does the Machine Actually Operate? It is important to understand that there are two types of street sweepers: air and broom. However, the basic principle remains the same: dirt/debris needs to be taken from the streets and put into a small pile. That pile goes into a bin until it can be properly dumped. A broom sweeper as a hose underneath that will spray water onto the streets. The rotating brushes will scrub the dirt free. The brush will then sweep the dirt and debris onto a conveyor belt and into a bin. An air sweeper relies on air jets to loosen up the dirt and debris. 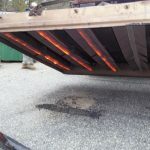 Negative pressure under the truck acts as a vacuum and will carry the dirt to the tars bin, usually located towards the back of the truck. Water is then sprayed to keep the dirt down as the process starts anew. Click to view a short video about street sweeping and its operations. Street Sweeping: What is the Point? Street sweeping keeps the area clean. Whether it is a parking lot, construction site, or a regular street, the area needs to be free of dirt and debris. A clean surface will help prevent slip-and-falls, which can save you thousands of dollars in legal fees. Secondly, people take pride in a clean area. Residents enjoy a clean neighborhood and patrons enjoy shopping at a clean shopping center. Remember, a clean area provides a positive first impression. Finally, street sweeping will pick up harmful substances that contaminate the environment. If these toxins are left on the streets, they will make their way into the storm drains and into our streams and waterways. In fact, street sweeping has been defined as a best management practice by the EPA in preventing storm water runoff. As stated before, street sweeping is of paramount importance. Imagine what your property and streets would look like if they were left unattended. The dust and dirt would build up and the property would become unsightly. Water would be unable to reach the storm drains because they would be clogged with dirt and debris. Street sweeping can be done year round. The township and property managers should set up a regular sweeping schedule to keep our parking lots and streets clean. The cold weather means a temporary halt to many property maintenance services. Sweeping, infrared pothole repair, and day portering are three property maintenance services that are performed year round. The abnormally cold temperatures make it difficult to perform other types of services. Sweeping can and should be performed year round. All four types of sweeping (construction, municipal, parking lot, and community) are performed in the winter months. Streets and parking lots are still littered with dirt and debris in the colder months. A sweeper will pick all that up and prevent it from entering our sewers. Clean streets result in clean sewers, therefore helping to prevent storm water runoff. Infrared pothole repair is the most durable type of pothole repair and can be done regardless of the time of year. 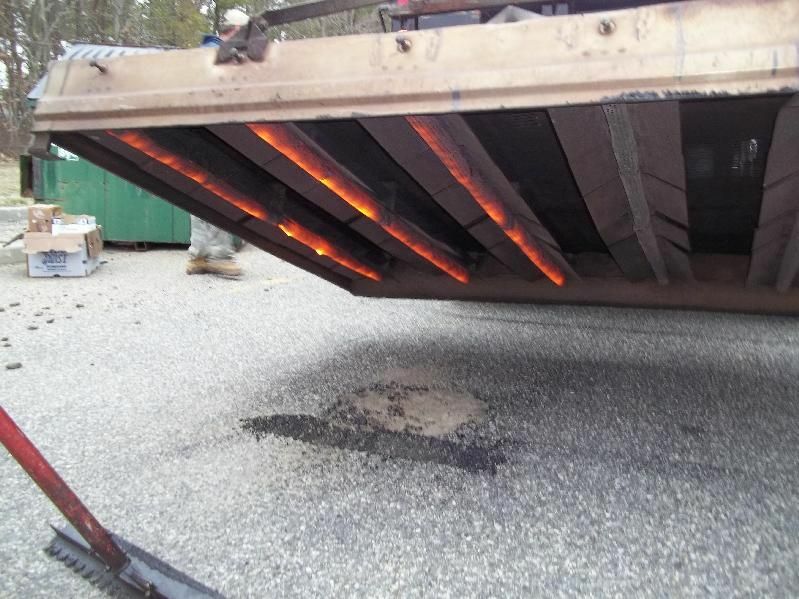 Most people do not realize that infrared pothole can be done in the winter. Therefore, they rely on a temporary fix of cold mix asphalt. Infrared pothole repair is a seamless transition and cost less than regular repair. Click on the following link: property maintenance services – infrared repair to watch a short video on infrared work. Day portering is another one of those property maintenance services that can be performed year round. Your property will always be littered with garbage and your trash cans will need to be relined/emptied. Miscellaneous services such as blowing out corners or cleaning window sills can also be performed. Sweeping, infrared pothole patching, and day portering are just some of the property maintenance services that can be performed during the cold months. Some companies offer snow removal services such as snow plowing. Keep an eye out for out next blog post which will talk about certain property maintenance services that can not be performed during the winter and why.